Homes designed for life. Building with Rawson Homes means building a home fit for your unique lifestyle, and over the last 40 years, we’ve continuously refined our process and expanded our home design range. One thing that hasn’t changed is our commitment to quality, from the big picture through to the finishing touches. We take pride in ensuring that every corner of your home is fitted out and furnished with the utmost care and attention to detail. That’s why we’ve partnered with only the best suppliers, to ensure that whichever Rawson home you choose is finished with quality inclusions throughout. From sleek Westinghouse appliances to sturdy built-in robes, our standard inclusions provide the perfect foundation for everyday life in your new home. We’re confident you’ll love our quality standard inclusions, but the ultimate personal touch can really make your house a home. Take the next step towards personalising your space and upgrade with our Custom Collections, which give you the freedom to save on the things you don’t need and invest in the things you do. You can find out a little more about Custom Collections at the back of this brochure. Kitchen Inclusions From smart storage cupboards to modern appliances and more, youâ&#x20AC;&#x2122;ll have all the quality ingredients you need to cook up a storm. with plasterboard bulkheads above cupboards. S P L A S H B AC K Tiled splashback to kitchen (selected from Rawson Homesâ&#x20AC;&#x2122; standard tile range). Provision for microwave including single power point. Cutlery tray to kitchen drawer (includes soft close hinges and drawers in varying configuration based on design. Maximum of 5 drawers allowed). Clark Vital 1129 1180mm double bowl end stainless-steel sink. Left hand bowl and right hand bowl available. Stylus Venecia mixer to sink (chrome). Images are for illustrative purposes only and may include items which are outside the standard inclusions. Please refer to your Tender for specific details of the inclusions and exclusions. B EN C H TO P S Laminated post formed / square edge benchtops in a wide range of colours. Customise your kitchen with a high quality workspace, in a colour of your choice. The retractable externally-ducted rangehood has 2 washable filters, easy control, recirculation and slimline design, to keep your house odour-free. 4 burners including wok/high power burner, electronic ignition, flame failure and matte enamel trivets. 4 zone electric ceramic cooktop with easy clean ceramic glass surface and residual heat indicators. Stainless-steel multifunction oven with rotary controls, 80L gross capacity, touch control timer and triple glazed door. Your new home will be fitted with an electric cooktop if gas is unavailable. Unleash your inner chef Upgrade your kitchen with our new range of Custom Collections. Bathroom Inclusions Your bathroom will provide the perfect escape for relaxing and pampering, with stylish Caroma accessories, quality surfaces, and a comfy bathtub to soak in. to floating vanities. Laminated doors with PVC edges in a wide range of colours. Laminated benchtop and apron to powder room (where specified on brochure plan). Tiled splashback from Rawson Homesâ&#x20AC;&#x2122; standard tile range. Caroma Cosmo semi-recessed OR Caroma Cosmo Inset (basin size determined by architectural plans) with one tap hole and standard plug and waste. Caroma Blaze Pin lever mixer to all basins (chrome). Caroma Blaze Pin lever mixer and Stylus outlet to bath (chrome). Stylus Prima II close-coupled toilet suite with soft-close seat. WA L L A N D F LO O R T IL IN G Wall and floor tiles to wet areas from Rawson Homesâ&#x20AC;&#x2122; standard tile range. Tiling heights to bathroom and ensuite â&#x20AC;&#x201C; 2100mm (H) to shower recess, 500mm over bath, skirting tile to remainder. Caroma Cosmo 600mm double towel rail and toilet roll holder to bathroom, ensuite and powder room. Framed shower screens with pivot doors, chrome trims and clear laminated glass. Caroma Pin Multifunction hand-held shower with rail and Blaze Pin mixer (chrome). Indulge and unwind Upgrade your bathroom with our new range of Custom Collections. Living Inclusions Start in the right place with our quality living inclusions. From neat door fixtures to generous bedroom wardrobes, youâ&#x20AC;&#x2122;ll feel right at home and have everything you need at hand. in pre-primed paint finish â&#x20AC;&#x201C; 2040mm (H) to ground floor and first floor. Nominal 2450mm (H) ceilings to ground floor and first floor. doors in pre-primed paint finish to bedroom robes with one melamine shelf and hanging rail. Gainsborough Tri-lever handle in satin or polished chrome for the front door and laundry. Gainsborough Amelia series lever handles with privacy sets to all bathrooms and wash closets and 1951 deadlock to door between house and garage. Choice of either bar or square designer handles. Wall / door stops to bedrooms, wet areas and living areas (excludes robes and linen). Painted timber staircase with square newel posts, handrail and balusters with MDF treads and risers (excludes any flooring to treads and risers). Melamine shelves: 4 to linen cupboards, 1 to store cupboard and 1 to coat cupboard including hanging rail (where applicable to design). Insulation: CSR Bradford R1.5 Thermal batts to external walls including internal wall between garage and house (excluding external walls of garage). Double power points (double GPO) to all rooms including garage. External light point to eaves at external doors. External junction box beside external doors without eaves (for fitting by owner). Direct wired smoke detectors with battery back up as required. Wall and floor tiles to wet areas from Rawson Homes’ standard range. External GPO for rainwater tank, if applicable. Taubmans 3 coat paint system to internal walls including 2 external paint colours, 1 internal wall colour, 1 ceiling colour, Taubmans gloss paint to doors and internal woodwork. 1 light point to each room. 2 way switch to stairs only. Single GPO for rangehood provision. Earth leakage circuit breaker for lights and power. Exhaust fan in the bathroom and ensuite vented into roof space with two external eave vents. Isolated powder room exhaust fan. CSR Bradford R2.5 Thermal batts to ceilings with roof over (excluding ceilings over garage, porch, alfresco). Clipsal C2000 single light switch (white only). Clipsal C2000 double power point to all rooms (white only). Installed in bathroom and ensuite. Clipsal Firetek 755RLPSMA2 direct wired smoke detectors with battery back-up as required. Elevate your standard of living Upgrade your living room with our new range of Custom Collections. Laundry Inclusions Get your household sorted with our quality laundry inclusions. Washing day will be a breeze with modern and easy-to-use features. L A U N D RY S IN K M IX ER A S  tylus Venecia Mixer. and skirting tiles to remainder from Rawson Homesâ&#x20AC;&#x2122; standard range. Clark 45 litre stainless-steel tub with white metal cabinet. Corinthian WIN21 full clear glazed laundry entrance door in painted finish where applicable. Images are for illustrative purposes and may include upgrade features. Speak to your new home consultant to find out more. Outdoor Inclusions The building blocks for a sturdy, secure and beautiful home. Quality windows, roofing, doors and more will give your home real street appeal. doors in manufacturer’s standard colour range, including security-keyed windows and door locks with obscure glass to bathrooms, ensuite and powder room (excludes flyscreens). brickwork (i.e. Moroka / Render). A L F RES C O S L A B Engineer designed concrete slab to porch/ patio. Porch and alfresco includes broom-finished concrete slab, brick piers and roof cover. Note: These slabs are not classified as a “finished” surface. Rawson Homes recommends that these slabs are tiled (not included in standard specification). COLORBOND® fascia and gutter with painted PVC downpipes or COLORBOND® downpipes where the rainwater tank is not required. CSR Monier concrete roof tiles in Elabana profile and sarking to the underside of roofing. entrance door â&#x20AC;&#x201C; PMAD101, PMAD 104, PMAD 111 or PMAD 04 (with clear glass) in paint finish to all facades. Note: Sidelights where applicable are clear glazed. Make an entrance Upgrade your outdoor space with our new range of Custom Collections. Builder Inclusions The quality inclusions within your Rawson home make life that much more comfortable, but itâ&#x20AC;&#x2122;s also important to include features that give your home a solid foundation. Weâ&#x20AC;&#x2122;ve got the essentials covered. F RA M E A High quality termite treated frame. 90mm external and internal stud frames to ground and first floor. 300mm engineered joist system to first floor. T ERM IT E T REAT M EN T Rentokil Homeguard Red termite protection to pipe penetrations and perimeter cavity with 25 year warranty and $1,000,000 insurance cover. S ERV IC E C O N N ECT IO N S Service connections including: power, phone, water, sewer, gas and stormwater (based on a standard residential block). C O N C RET E S L A B Engineer designed concrete slab to suit ‘M’ soil classification. W. H & S Heavy duty scaffold to perimeter of house (for double storey homes). Safety rail to perimeter of roof. Safety rail to perimeter of first floor. Stair void protection. Gas service connection from front boundary to house, including provision for hot water system, cooktop and internal heating point. Rheem® Metro 6 star continuous 26L gas wall mounted hot water system (model 875E26N). Disclaimer: References to block size are based upon a standard block which is up to 700m2 with up to 1m fall across the block. “M” class soil classification, all services within boundaries, garage setback up to 5.5m from front boundary, even cut and fill. 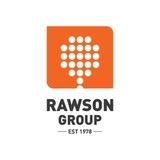 Rawson Homes Pty Ltd considers safety in every aspect of your home, from design through to handover. Site Preparation This includes the costs for standard even cut and fill excavation to provide a level platform for the slab and standard piering to support the concrete slab (subject to structural engineer design). Authority and Council Included here are council fees, home owners warranty insurance, stamp duty on insurance, private certification services and a water service fee. BASIX / EERS These are the mandatory costs to ensure your home is compliant with your state’s energy and sustainability planning standards. Whichever home you choose, our base price and Essentials get you all ready to move into your new home. Speak to your friendly new home consultant for more information on getting ready for your move. Refer to your new home consultant and Tender for full details. Add your personal touch Our standard inclusions have been selected to ensure you have the perfect foundation for comfortable living in your new Rawson home. To finish your home with personal touches, we have a range of upgrades available. Our new Custom Collections are designed so you can save on the things you donâ&#x20AC;&#x2122;t need, and invest in the things you do. If youâ&#x20AC;&#x2122;re into creating culinary masterpieces, then our kitchen upgrades will make that dinner party prep or holiday feast even better. If you love to unwind and indulge with some me-time, our bathroom upgrades are for you. However you like to spend your time at home, our range of Custom Collections give you the freedom to create a place to be yourself.